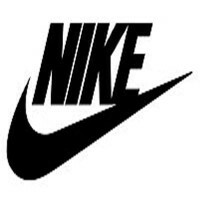 Nike is an American corporation producing accessories, apparel, equipment, footwear, and services. As regards the value they offer the market, they are the ones developing, manufacturing, marketing, and selling these products. They focus on the sports equipment and streetwear market. The company was originally known as Blue Ribbon Sports, which was founded by Phil Knight and Bill Bowerman in 1964. They distributed shoes by Onitsuka Tiger from out of their automobile back then. In 1971, they eventually started making and selling their own footwear. Currently, it is a publicly traded company headquartered in Washington Country, Oregon. They have more than 70,000 employees in areas all over the world. Through the years, they have acquired various brands like Hurley, Bauer Hockey, Converse, and Umbro. Employees enjoy a 40 to 50% off the regular prices of their employers’ goods and health insurance with excellent coverage. They also get the occasional discounts from gyms and tickets. They match 5% of their employee’s 401k contributions. Nike employees have found it a good place to work. They are decently paid for their jobs. The management is praised for keeping the place a fun place to work at. The minimum age required to work at Nike is 16 years old. Those who are of age must have or be pursuing their GED or High School diploma. They seek individuals that help the brand grow in terms of innovations and service for the business, athletes, and communities. They offer various positions from the different brands including their flagship, Converse, Hurley, and Jordan. Job openings include positions in corporate services, design, digital, manufacturing, sales, supply chain, product development, merchandising, and more. Nike Athletes (Store Associates): They are responsible for customer service, sales, and providing product knowledge to customers of their retail stores. Also, they are expected to operate the cash register, perform receiving and shipping duties, stock products on the floor, build visual displays, and clean the appropriate areas of the store. The position can either be full-time, part-time, or seasonal. Retail Store Coaches (Managers): They manage the daily activities of their retails store such as selling, customer service, training athletes/associates, and merchandising. They maintain the visual merchandising and selling standards set by the company on their retail stores. They are in charge of relaying a variety of information from corporate to their team like promotional events, marketing campaigns, and product information. Maintenance Technicians: They work as part of a team in maintaining and repairing plastics manufacturing equipment. They are required to utilize different hand and power tools, computers, meters, measuring devices, schematics, machine shop equipment, and manufacturer manuals to repair and keep the manufacturing equipment at its optimal level of operations. They are expected to provide scheduled preventive maintenance and actual maintenance and installation of equipment. Test Engineers: They support different customer groups within the company in the development of products, from conceptualization to production. They define and implement standards and procedures for product testing and technology development. They prepare product samples, conduct testing, analyze test data, write test reports, and communicate test results to the appropriate units in the business. International Transportation Vendor Analysts: They are the first point of contact between business’ logistics teams and international transportation vendors. They ensure that the goods delivered are on time and fulfilled correctly. They analyze and optimize inbound supply chain for product manufacturing. They work with different departments of the business including Customs, Outbound Logistics, Delivery, Inventory Management, Finance, and Global Logistics. Logistics Claims Analysts: They manage the transportation claims received from different geographical business locations. They also provide input for the improvement and development of global claims processes for the business’ logistics. They communicate with external and internal stakeholders involved in logistics. They perform data analytics, cross-functional tasks, and reports. Digital Site Merchandisers: They work part of a team responsible for driving digital commerce business from various countries. They are responsible for online product wall merchandising, product tracking, collection creation, site auditing, launch readiness, internal keyword search maintenance, and marketing campaign assistance. They relay digital merchandising vision, strategies, and business results to the business’ key units. Operations Specialists: They are in charge of base line material handling functions in the distribution center of the business. They process returns and orders by the customer, maintain the product inventory, utilize equipment for material handling, and maintain the workplace’s cleanliness and safety. They initiate and conduct projects and teams for improving the Key Result Areas and operations for distribution. Logistics Analysts: They are responsible for ensuring inbound shipments to Nike Direct Ship customers are moving through the supply chain and meeting the guidelines for delivery. They ensure that information for order tracking, call out, and delivery is up to date. They work with the different business units to plan delivery of important seasonal initiatives for the whole business cycle. Plastic Production Line Operators: They are responsible for the operational aspects in the manufacturing unit of the business. These responsibilities include monitoring and developing of manufacturing timelines and goals in product creation. They inspect and package parts of different products and record its quantities. They ensure quality is maintained and production targets are met. Lead Video Editor: They track the status of tasks and deliverables required for video products. They coordinate with the editors to create efficient video production and delivery. They are responsible for discovering, gathering, recording, and communicating video project requirements with vendors, internal business customers, and studio teams. Applications are accepted through their careers website. One can browse through the different positions available in their site. Or, they can opt to sign up to be notified via e-mail for any job opportunities in the future. Application is only available online via their website’s application center. Registration for website membership is required with the applicants’ Google or Yahoo mail and preferred job location. There is no online application form other than the option of importing data from your LinkedIn account. Aside from that, the resume would be the only basis for the initial application stage. For the resume, make sure to include all the necessary information for the position. It would help to include relevant data that will make your application stand out. The initial interview would be conducted through the phone, which would take around ten minutes. When you pass this, a group interview would be next wherein they would see your knowledge of the brand and their company’s values. With athletes being their primary customers, they establish the belief as their brand being the designers of the future of sport. They believe in involving every employee in achieving innovation for their products. In the past, they have been embroiled in controversy for child labor and other unjust labor practices in their factories. They have also been linked due to sponsorships with controversial individuals like Justin Gatlin. They are well-known for paying top athletes to use and promote their products. Their logo is prominently displayed on the sportswear of winning individuals and teams of various sports. In 2012, they have partnered with Product Red in a campaign aiming to prevent HIV transmission between mother and child. They raised and sent funds to educate and medically assist those who live in areas riddled with AIDS. 1 How old do you have to be to work at Nike?